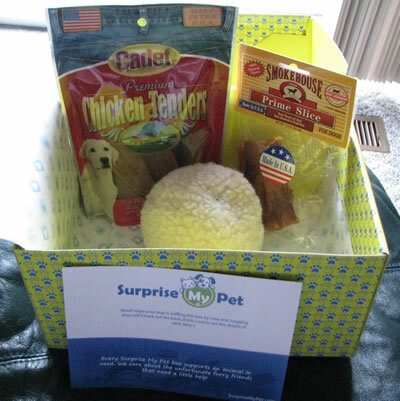 Surprise My Pet is a new gift box service for dogs, other pets coming soon! They launched their new website Mid February. Each month your pup can receive 2-3 or 4-7 treats/toys and other fun/essential items in the mail! My DogBlog readers are offered a special coupon that you can use to get a discount on your first box! 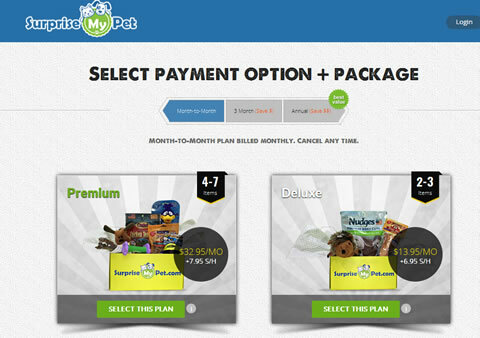 *BestDogBlog* to get $5 off (Expires on 4/4). 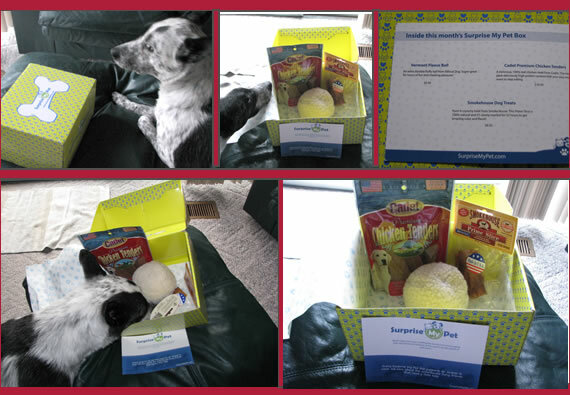 The description of the website reads “SurpriseMyPet is a monthly subscription that sends out goodies to your pup! 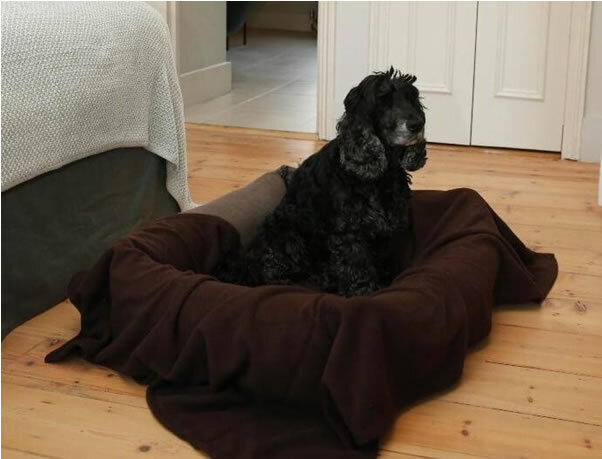 Surprise your dog with gifts here: www.SurpriseMyPet.com” The website is very user friendly, it even has a link for an online chat. You can learn how it wokrs, send a gift, look at the frequently asked questions, select your dog size to get started and see the pricing. They show you customer feed back and show you some of the charities they work with, giving back to pet charities. We received a box of three items for our review. The packaging is a beautiful box. I must say we were surprised, but I wondered if they forgot to add all the products. Such a big box for just three items. Then I realized it was supposed to be just three things. An extra durable fluffy ball from Ethical Dog. Super great for hours of fun and chewing pleasure! This was Blue Belle’s favorite thing in the box. She pulled it out of the box first thing. She loves squeaky toys. The squeaker is still working after several weeks of use. A Delicious, 100% real chicken treat from Cadet. The treats pack deliciously high protein content that your pup won’t want to stop eating. Yum! A crunchy treat from Smoke House. This Prime Slice is 100% natural and it’s slowly roasted for 53 hours to get amazing color and flavor! The ingredients indicate Beef Ligament. Package says Made in USA. Have you seen this YouTube video that has gone viral. A must see for dog lovers. “That is correct, take one of the sheep.” says the shepherd. He watches the young man select a sheep and bundle it in his Cherokee. “Okay, why not” answers the young man. “You are a consultant.” says the shepherd. Murry and Julie Walton with Maggie and Blue Belle. 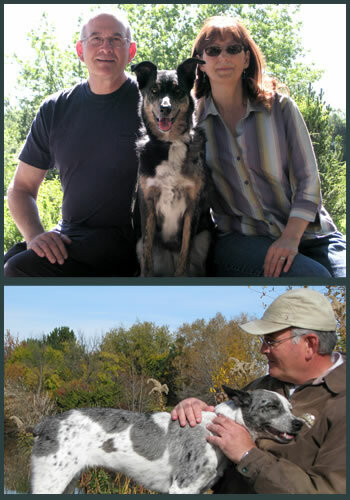 Welcome to our DogBlog: A Dog’s Eye View, written by Boise, Idaho website designer, Julie Walton; her hubby, Murry; and their best friend and dog blogger, Maggie. (Note – sorry to report Maggie died October, 2012. We are happy to introduce you to to the newest member of our family, an adopted rescue Aussie/Heeler named Blue Belle.) She is the Rescue Dog that rescued us. 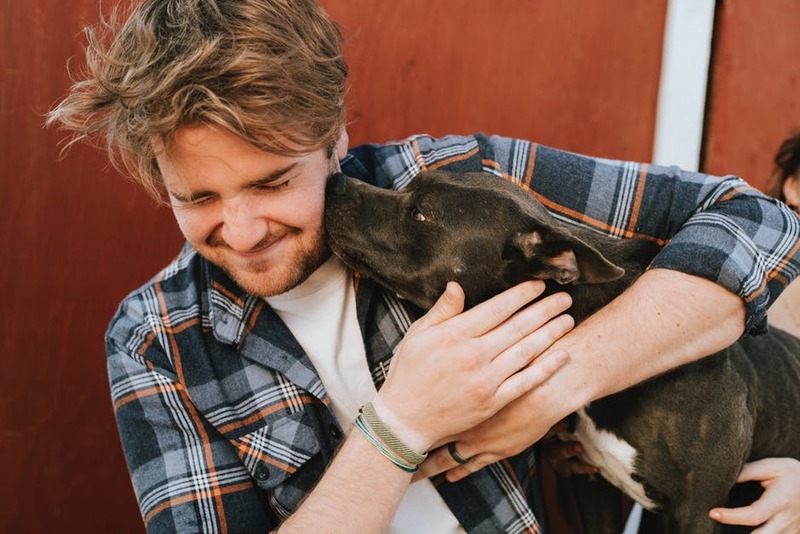 Our goal in creating this blog is to inform and educate our friends about dogs and the resources we have here in the beautiful Northwest, and to include some good clean fun! If you have a suggestion, or idea, please feel free to comment or send an email. See the Comment Bubble at the top of each post. Thanks for your interest.